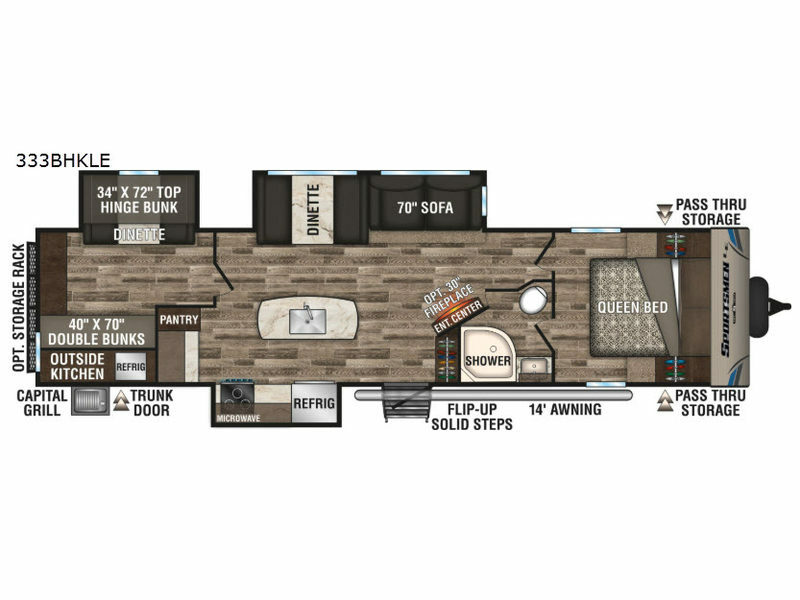 The kids will enjoy their own private bunkhouse that allows them to invite their friends to tag along thanks to the triple bunks, the dinette that folds down for sleeping space, the extra storage shelves and the slide out. 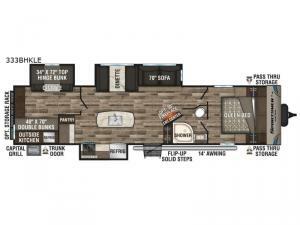 You will have your own bedroom to retreat to for privacy on the opposite side of the travel trailer which also includes access to the full bathroom. The main area is spacious and inviting once you walk through the entry to find dual slide outs, a kitchen island, and all the necessary appliances to make any meal, plus seating and storage. You might like to cook a few meals on the outside kitchen as well. Get outdoors and return to inside comforts!